St. Patrick School is a wonderful place for your student and family. We are enrolling now and are open to enrollment any time of the year, if space is available in the class you inquiring about. To get started, call our school office today at 619-297-1314 or complete the interest form to the right or below for a school tour and to find out more about registration. Enrollment is simple and only requires a few steps. We encourage a tour of your classroom and your student is welcome to spend the day with us as well. Check out our Frequently Asked Questions for Admissions Here. Click on the following links to view information about tuition, check out our handbook and to read important forms. Tuition Rates & Fees: The tuitions and fees are subject to volunteer participation and other contributing factors. Financial Aid may be available for those who qualify. Contact our office for more information. Parent Handbook: The Parent Handbook is the main resource for parents and students; please read it carefully. A paper version of this document is provided to each family at our back-to-school night. If you have questions on the written material, please contact the office. Here is a link to our Wellness Policy to be included with the Parent Handbook. Parent Contract: The PDF form can be downloaded and completed. Once filled out, forward to the school office by email or print and mail or deliver to our school office at 3014 Capps St, San Diego CA 92104. Not available at this time. Contact school office for information. Health Check-Ups for School Entry: Kindergartners and First Graders ONLY: This form must be completed by parents and signed by physicians prior to start of school. Please contact the office with questions or concerns. This form should be returned to the office. Not available at this time. Contact school office for information. Check out our Parents Page for information on before and after school care, volunteering, uniforms, fundraisers and more. 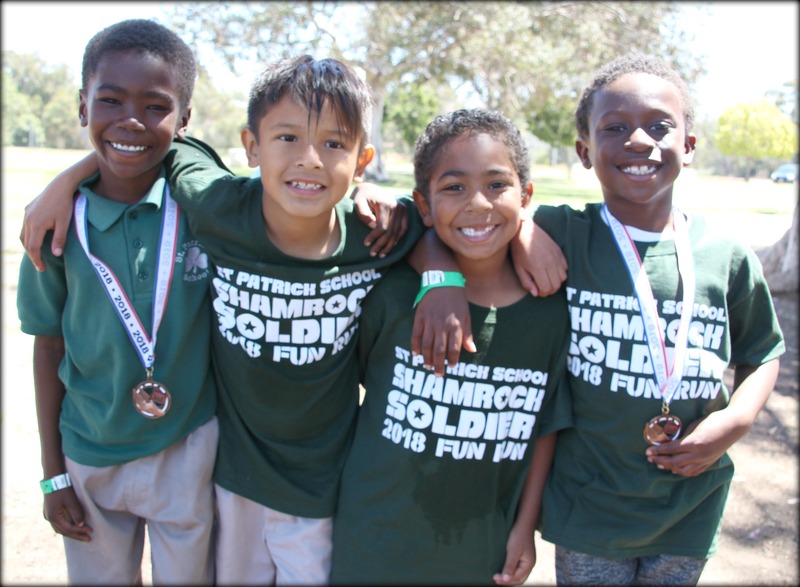 Check out our Great!Schools profile with more information about St. Patrick School as well as reviews from families. Click to View. If you are interested in receiving more information about St. Patrick School, please complete the following and we will contact you within 24 hours. Thank you. If you checked "other or friend/family" please complete the fill-in area below.